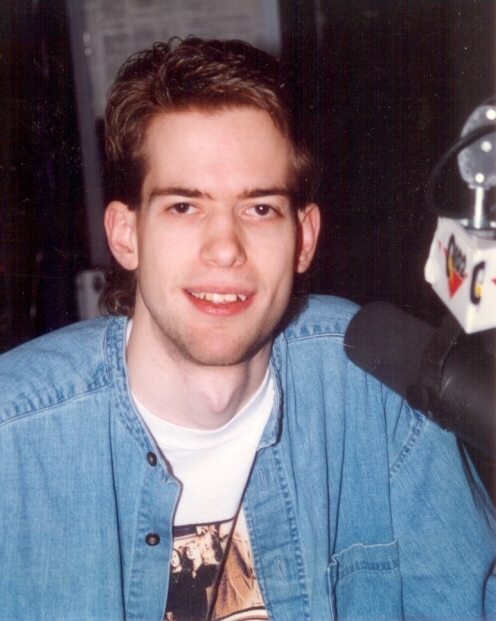 No hats or sweaters for my Q102 publicity shot. This hung in the lobby! Nice mullet. Published December 7, 2015 at 496 × 621 in 104.3 K-Hits / Chicago, IL (2013-2017).